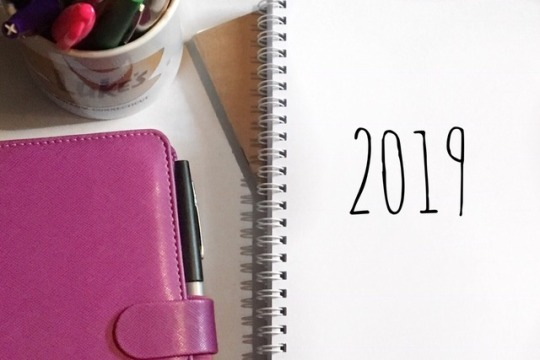 A new year means a new list of goals. I think the pressure can be on to list generic things that in your heart you already know you're not even going to attempt to complete. My 'goals' are all things I can do. In most instances they are just things that I need to refocus on. Complete a 52 week savings challenge. I more than managed this in 2018 so I just want to repeat that. I use the challenge where you save £1 in week one, £2 in week two etc. I think the plan is stay in the UK in 2020 and then head back to Orlando in 2021 so the £1378 this challenge saves will go towards that holiday. Quit coffee. There's no denying I'm addicted. I get crippling migraines if I go to long with it and that isn't normal. This is the year I will quit the addiction. Only one lazy day a week. I work part time and that means that occasionally I get three or four days off a week. It's highly unlikely I'll voluntarily leave the house on those days. Am I doing anything productive in my house? No, of course not. So I want to get out and become more accustomed to fresh air. Start running again. I was pretty good for the first part of 2018. My self confidence levels mean there's way I'm going if there's a chance someone will see me. I know, I'm working on it. This means that I run at night and we had a mini crime spree around my route a few months into the year which put me right off and I never got back into it. Now is the time. Finally get a Taylor Swift tattoo. I've been around since Tim McGraw so this isn't an impulse. I've wanted the tattoo for over ten years at this point, I just can't decide where I want it. Now is the time. See my grandparents at least once per week. Without sounding too morbid, none of us are getting any younger and we really shouldn't be taking time for granted. I want to make sure I'm making the effort to physically visit my grandparents at least once a week. Get a new job. This is a stretch and I lowkey say it every year but I'm being brave and actually putting it here. I don't want to be in retail by Christmas next year. I can't do it. So it's time to start applying to every job I come across outside of shop work. 52 books. In 2017 and 2018 I set my goal at 52 books and easily surpassed this. I did struggle with serious slumps in 2018 though so I'm keeping it at 52 because I do want to at least average one a week. Reread six books. I've recently started my reread of the Harry Potter books. I get so much enjoyment rereading books and I pick up on new things every single time. Outside of my HP reread I want to also make the effort to reread another six books. I'm fairly confident that three of those will be The Seven Husbands of Evelyn Hugo, A Little Princess and Pride and Prejudice because I've been itching to reread those since the second I finished them in 2018. Read Tolkein. In theory Lord of Rings should be something I love, it sounds right up my street. That being said I've started the movie and given up on it a couple of times. I think it's time to give the books a go and hopefully I'll discover a new favourite world. Get physical tbr down to 30 books. As of the 1st January 2019 I have 60 unread physical books in my possession. I want to half this by the 31st December. Can it be done? 100%. I managed to read 154 books last year so this should be easy but it sometimes feels like the need to own a book is greater than the want to actually read it and the second I buy a book I absolutely had to have I lose all intention of actually picking it up. I've been pretty brutal with my unhauling the past couple of months and those 60 are books I'm still interested in so it's time to actually get around to them. What are your 2019 goals? Do you keep them realistic or prefer to test yourself? It feels so strange to actually be writing a post. I really lost my blogging motivation in 2018. 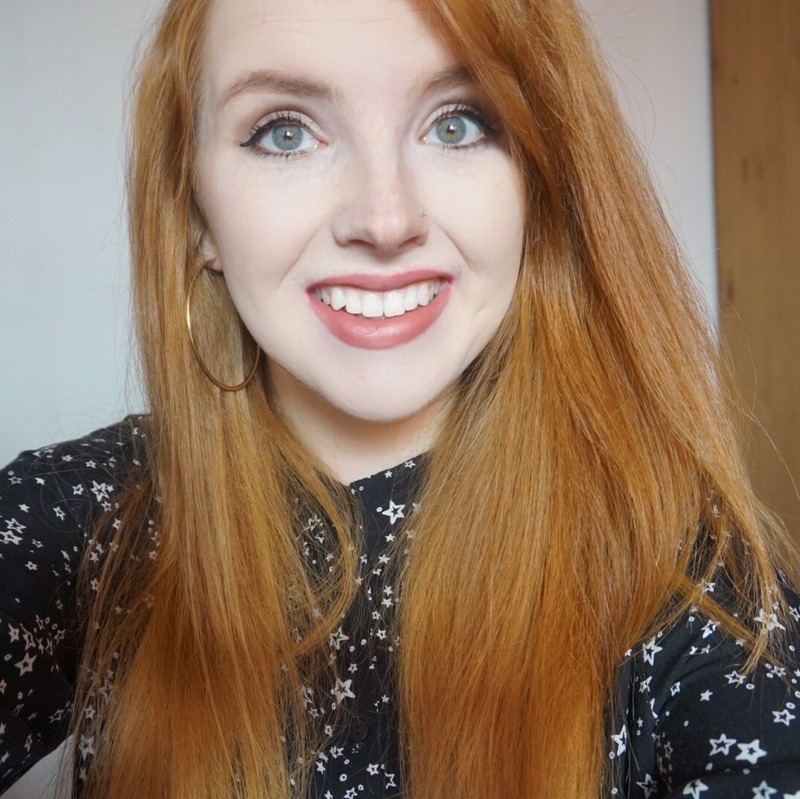 I initially started this blog as a way of documenting products that worked for me, be that colour wise because I'm super pale or formula wise because I have textured skin and stuggle with acne. 2018 was a year I fell out of love with beauty so I didn't really feel like I had anything to say. I'm also ashamed to say that I got caught up in the feeling that because I don't have a massive collection I wasn't a 'good' blogger. Or because I don't always keep up with the newest releases I honestly just felt like what I was saying wasn't relevant. Who wants to read about my thoughts on a Barry M foundation that was released five years ago when there are already hundreds of posts about the same thing, all of which were released before mine. I lost the fact that whilst it's obviously lovely that other people read and enjoy what I'm writing, I started this blog as a reference for myself. Once I'd got it into my head that I had no place to be writing about beauty I decided that I should probably be writing about books. In 2018 I read 154 books so I figured because that's what I was spending most of my time doing that I should be writing about them. I started doing wrap ups which, being brutally honest with myself, serve no purpose. I'm rubbish at reviews beyond 'I really liked this' or 'this was boring' so they ended up being very picture heavy. Not a bad thing at all but, like I said, served no purpose. They were a waste of time to read and they serve no reference purpose for myself. I initially started drafting posts that I hated and never posting them. Then I realised after months of not even opening blogger that I should probably just officially call it quits. The reality is that I honestly miss it. So, after changing all of my user handles and cancelling my domain, the blog is back. There will be beauty posts. I like beauty I'm just not very good at it. My eyeliner is always wonky, I still haven't mastered brows and if I'm wearing a bright lip then there's a high chance I'm struggling to keep it off my teeth but I love it. I very much enjoy finding a powder that doesn't oxidise throughout the day, a mascara that doesn't flake and cheaper dupes of ridiculously priced lip products and this is the perfect place to keep track of that and possibly help someone else. There will be book posts. I'm terrible at reviews but the only way to improve is practice. Plus you're not all on Goodreads and sometimes I just want to rave about a book. Side note... If you haven't read The Seven Husbands of Evelyn Hugo by Taylor Jenkins Reid then you need to fix that! I might even share movie and music posts. I'll be doing tags and wish lists (probably when I'm out of ideas). My overarching 2019 goal is 'be outside' so hopefully there will also be life posts. This one is a stretch to be honest but I can hope. I really just want to get back into blogging for me and then hopefully if anybody else does stumble upon my posts they'll be most enjoyable to read. Twenty something from the North of England. My main loves are books and beauty. Other passions include caffeine and naps. © Pretty Northern | All rights reserved.